Everyday I go to work, I park in the same garage. I can admit, I’m not the most fond of the parking attendant and it often drives me nuts when I’m unable to find a space and then forced to leave my key with him. Well this particular day, I found a space albeit a bit further away than I’d like. As I’m walking to the door, I see what I thought was a space right outside of the doorway but as I got closer I realized that someone parked their “toy car” in the spot… okay, okay it was a smart car or something! Very miniature!!! And the first thing I’m thinking is, “they don’t even need that big ‘ole GOOD parking space!!! 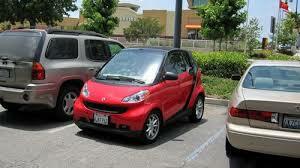 !” I was so annoyed for no other reason than I wanted to just push it out the way with my big ‘ole “normal” size car! I know it’s petty but that’s just how I was feeling that day. God is so awesome! So I’m sharing this with all of you as encouragement! When trouble comes. When the pressure seems to be too much to bare. When you feel like you don’t fit in and don’t belong, God says you do, so PARK IT! God has that space reserved just for you. Love this! This is so right on time – thanks for sharing! This is a blessing, I’ve been occupying but I haven’t been parking .. wow. I’ve missed you Miss Bianca, I hope you’ve been blessed. I shared one of your posts on my birthday !